If you create a conceptual framework to explore a cause-effect relationship, you often need to deal with moderators. Moderators are special variables, and if you have not worked with them much before, they can be difficult to interpret. This is a continuation of an article that explained what independent and dependent variables are and what a conceptual framework should contain. The example we used in that article was the story of Ben, a student who put in many hours of studying (independent variable) in order to get a higher score on his exam (dependent variable). Now we’ll expand the original framework by adding a moderator variable. A moderator variable alters the effect that an independent variable has on a dependent variable, on the basis of the moderator’s value. The moderator thus changes the effect component of the cause-effect relationship between the two variables. This moderation is also referred to as the interaction effect. In the example we introduced in the conceptual framework article, the number of hours Ben studies is related to the score he will get on the exam. It seems logical that the more he prepares, the higher his score will be. 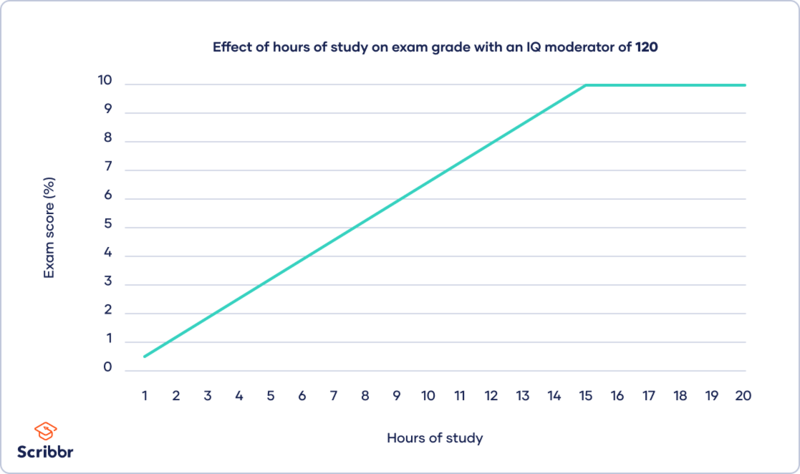 Now we add the moderator “IQ.” Ben’s IQ level changes the effect that the variable “hours of study” has on his score: the higher his IQ, the fewer hours of study he must put in to do well on the exam. 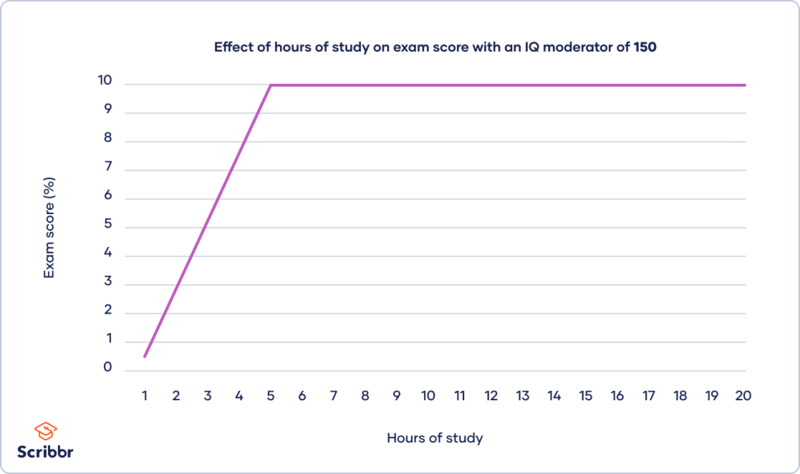 The “IQ” moderator changes the effect component of the cause-effect relationship; in other words, it moderates the effect that the number of study hours has on the exam score. This effect is illustrated in Figure 1. 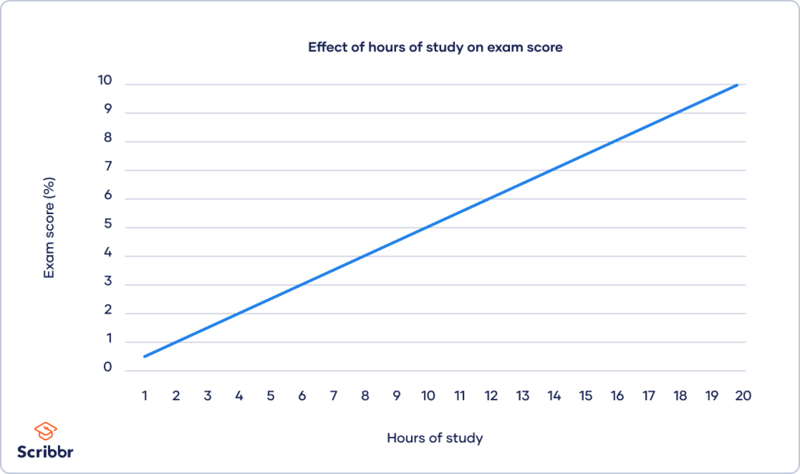 In this graphic, it’s easy to see how the number of hours spent studying affects the exam score. The more hours Ben studies, the better his results. If he studies for 20 hours, he’ll get a perfect score. An “IQ” moderator of 120 has been added in Figure 2 below. If this is Ben’s IQ, he’ll already achieve a perfect score of 100% after just 15 hours of study. In Figure 3, the value of the “IQ” moderator has been increased to 150. If Ben is really this smart, he’ll only need to invest five hours of studying in order to get a perfect score. The main thing to notice is that the value of the IQ alters the effect between the hours of study and the exam score. The higher his IQ, the fewer hours Ben needs to study in order to get to achieve a score of 100%. 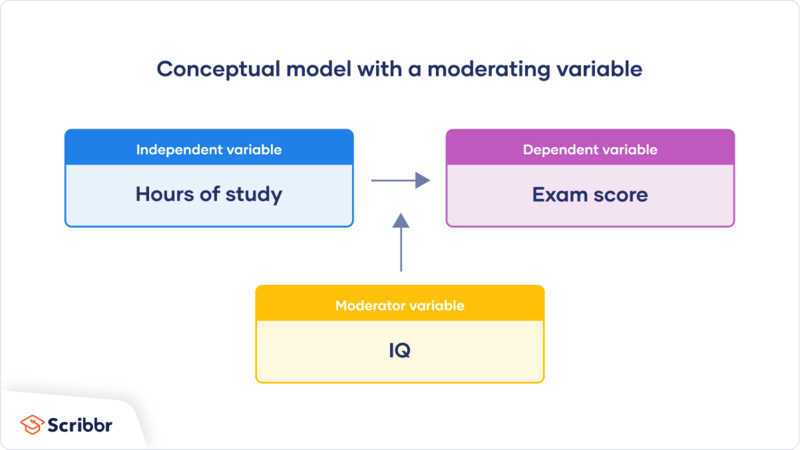 In short, a moderator variable is something that changes the cause-effect relationship between two variables as its value increases or decreases.